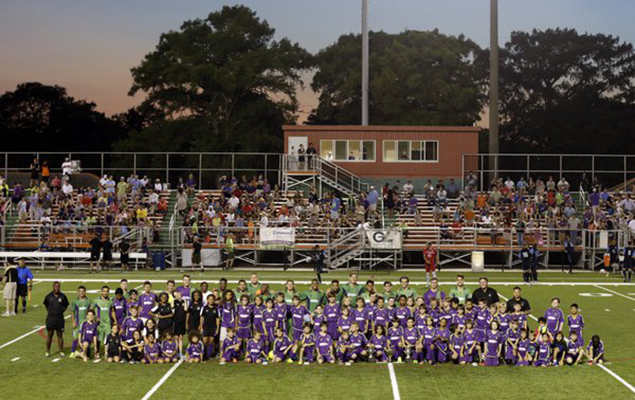 At New Orleans Jesters Soccer Academy, you’ll find the creative and competitive learning environment a player needs to reach their personal best. Located in New Orleans, our Soccer Academy provides individual player development within a club environment focused on the building block of the game as well as fitness training. If you want to be the best player you can be… join the club! Starting with seasonal year 2016-17, the new age group cut off will be January 1– December 31. Previously, youth soccer used the traditional school year cut off of August 1 – July 31. 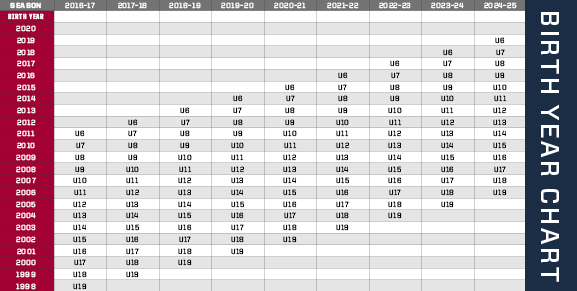 Beginning no later than Fall 2017, but recommended for Fall 2016, players may play within their birth year. This is a decision of U.S Soccer, not of Jesters Soccer Academy. We are required to follow the policies and rules of our governing body when such changes are mandated. Following is a graphic of the Birth Year Age Chart starting with the 2016-17 seasonal year.